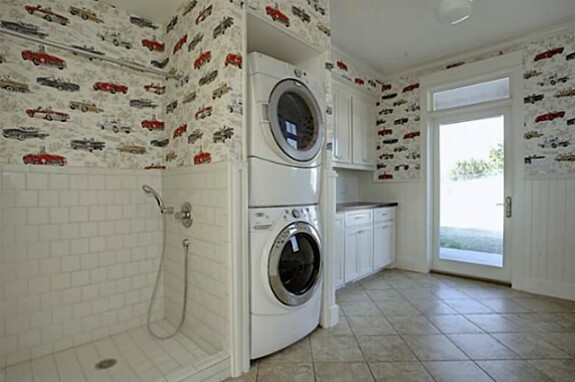 Sometimes I run across a home that has me wondering if the builder was psychic or something. 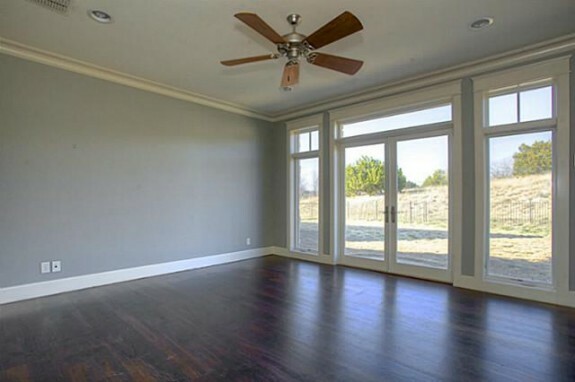 The house will have some cool finish or feature that I didn’t even know I wanted, but after ogling that listing, it becomes something I can’t live without. That’s how I felt after checking out this brand new architect-designed custom home at 10300 Drop Tine Court in Fort Worth. 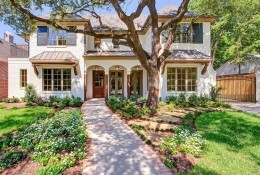 This home is simply gorgeous, with all the hallmarks of an expertly designed custom home as well as some cool fixtures that give this recently built home the feel of a vintage classic. 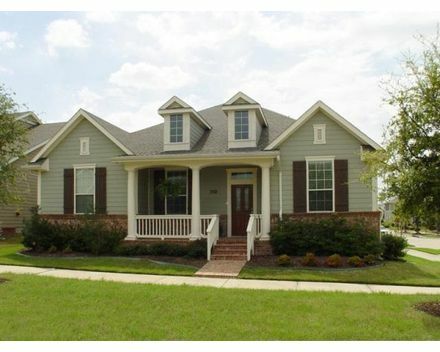 Totaling 3,319 with four bedrooms and three baths, this house is listed with Virginia Cook Realtors agent Debra Barrett for a more-than-fair $450,000. 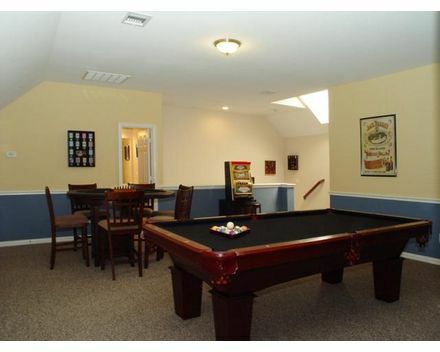 It was finished in 2008 and has a slew of wonderful features that will maintain their value for much longer, including a shower/dog washing station built into the utility room. 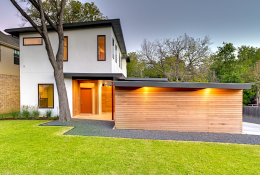 If you’re looking to go greener, this home has several eco-friendly attributes as well, including upgraded windows. 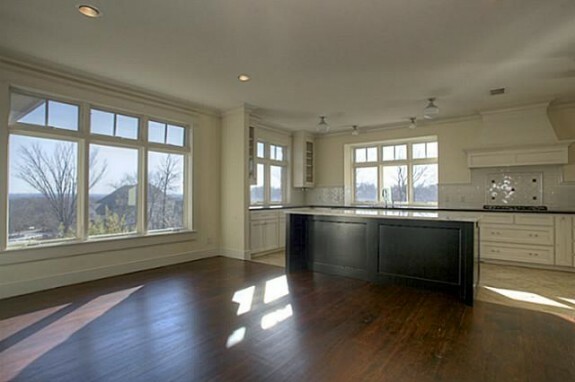 The kitchen is excellent for entertaining with a huge island separating the living area and providing eat-in seating. I love that the refrigerator and ovens are off to the side in a galley-type area, ensuring that guests don’t catch a gander at your collection of half-empty condiment bottles every time you reach in for a beverage. Another cool feature of the kitchen are the vintage-styled ceiling-mount light fixtures. 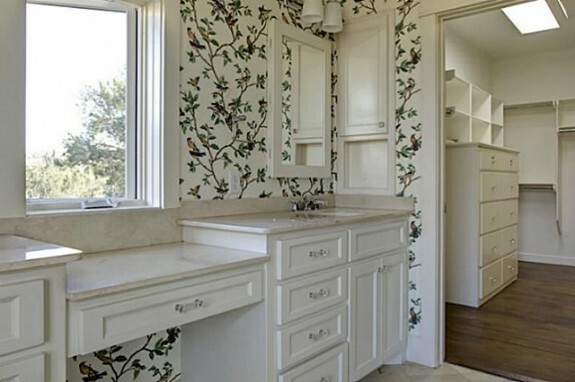 This style was popular in the 1900s and 1920s, especially in Prairie-style and Victorian homes. With the right bulb, these fixtures will flood an area with warm light, perfect for any task or occasion. And unlike pendant fixtures, these will never get in the way of conversation. As you move through the home to the bedrooms, another vintage-style feature starts to jump out at you — transoms above the doors and windows. This is a cool finish that went by the wayside for reasons I still don’t understand. 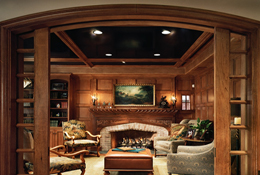 Transoms are a great way to allow air to circulate through a home, too, without having to leave doors standing open all the time. 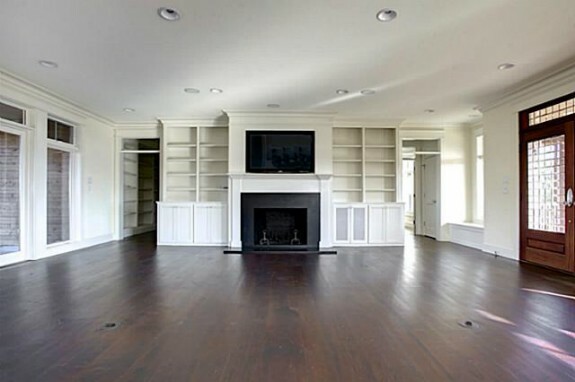 Another huge plus for me is the dark hand-scraped hardwood floors throughout the first floor of the home. Beautiful. 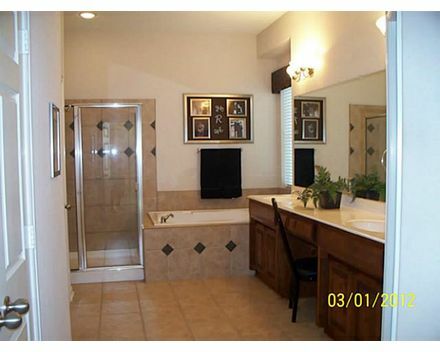 I bet the photographer for this property was lamenting not being able to get a good angle in the master bath, because I’m sure it’s a space you want to show off in this home. 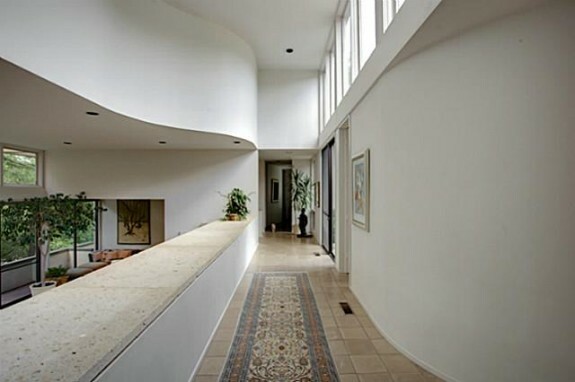 Like much of the rest of the house, there is plenty of natural light coming in through the windows, one of which divides the vanities. 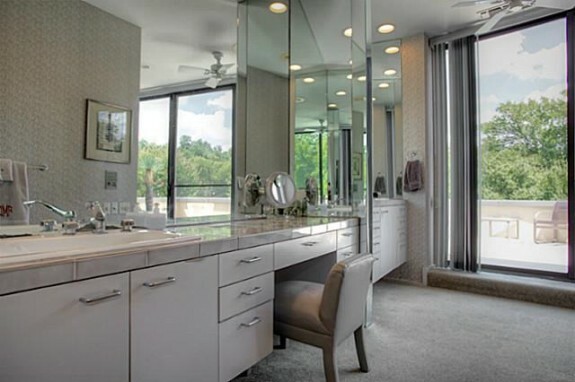 It’s a five-piece bath with a huge walk-in closet attached — an enviable feature if there ever was one! Now, I think this house is perfect for a family, and that’s mostly because of the large lot size that has zero obstructions. You get prairie views from your rear windows, of which there are absolutely tons. Honestly, this house is worth the money just for the full-light doors and incredible crank windows. This is unreal. Somebody please pinch me. I am not drinking, not one sip of bubbly, that price is $289,900. 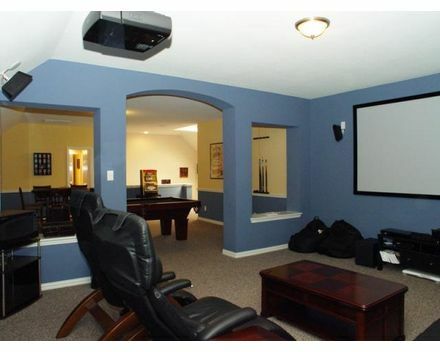 This home is in North Richland Hills, sports 3,339 square feet, three bedrooms, three baths, and a host of extras you usually find in homes starting at about $500K. 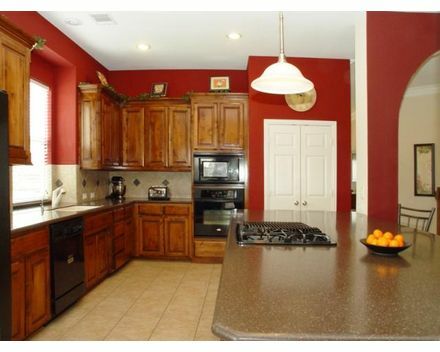 Talk about Blue Light Special, the home has also just been reduced by 2% from a high of $295,000. And talk about cute, this is one of those homes I just want to hug! Cuddle, even. 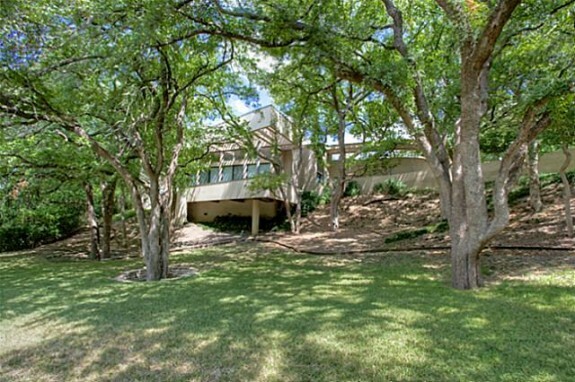 The address is even darling: 6204 Sherbert Drive — doesn’t the house look a bit like green sherbert? 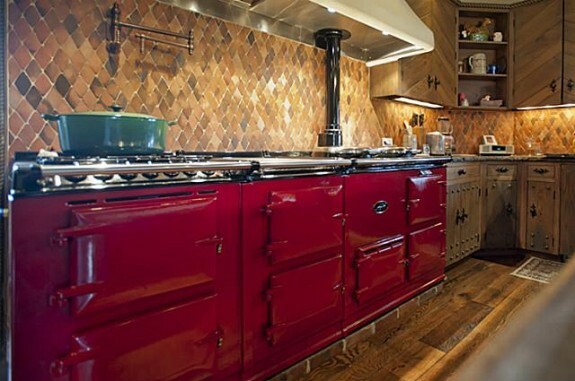 As if the cuteness and size was not enough, here’s the deal: you get $33,000 in upgrades, commercial cooktop in the kitchen with a down draft exhaust — none of this “blow the smelly stuff right back into the room” charcoal systems, I hate those — a premium lot overlooking a park, reverse osmosis drinking water filtration system, a water softener, added 2nd floor bonus space with a full linen closet in there, covered patio, game room, library/study, pre wired media room, decked attic and blue Ribbon Birdville ISD. I mean, this house is so cheap you could almost charge it! Tarrant County, here I come! This reminds me of those Maidenform Bra commercials I recall from my childhood: but I really DID dream they reduced the price on Paigebrook. (Yes, I actually dream about listings.) Imagine my delight when I was tootling on Allie Beth Allman’s website today, looking at Troy’s house, daydreaming about Mt. Vernon, and I saw that Paigebrook, the former ranch designed by Charles Dilbeck for Ted Dealey, a publisher of the Dallas Morning News and member of a Dallas publishing family dynasty, is now priced at $4,999,000. 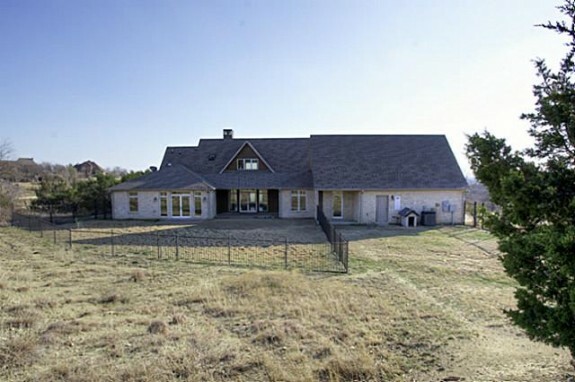 It has been reduced from a whopping $7,900,000. Now before you say, oh geeze Louise Candy, eight million buckeroos, go prance in your Maidenform, let me explain this is not just a house, it is a piece of art, a piece of North Texas history that was cultivated, preserved and moved like a delicate ornament. 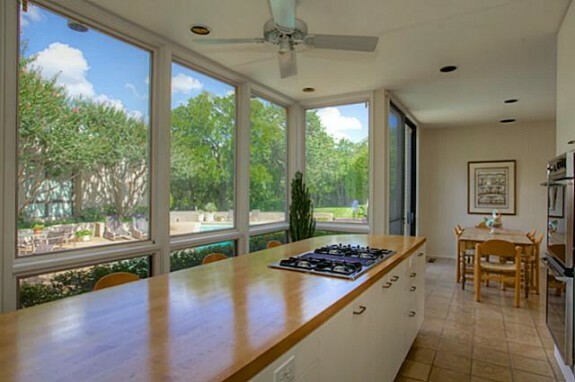 Also, the home is 11,500 square feet plus and comes with 14 plus acres in the heart of Westlake with lakes! 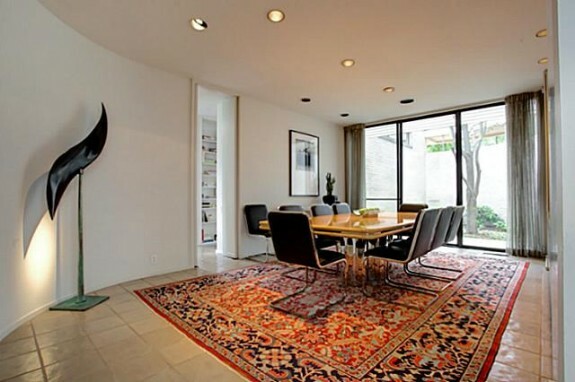 Now you see what I mean: at $4,999,000, this house is the bargain of the century. 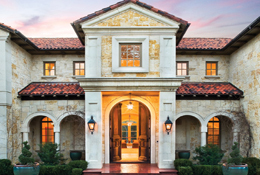 PaigeBrooke is classic Dilbeck, built with rustic brick, stone, tile and wood. There are those signature Dilbeck features such as rounded chimneys, overhanging balconies, cupolas and turrets — even a bell tower. 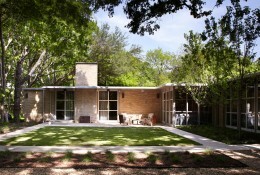 Dilbeck was an eco-friendly architect before green was vogue. He favored salvaged and recycled materials. 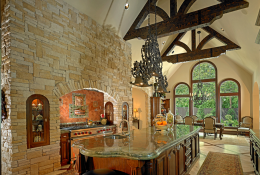 Hence, the pinkish stone throughout this house came from an old slaughterhouse in Fort Worth, and the handhewn beams were made from original Union Terminal timbers in Fort Worth. 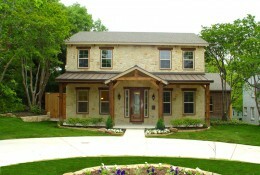 PaigeBrooke is minutes from D/FW Airport and a brief jog from Westlake Academy. 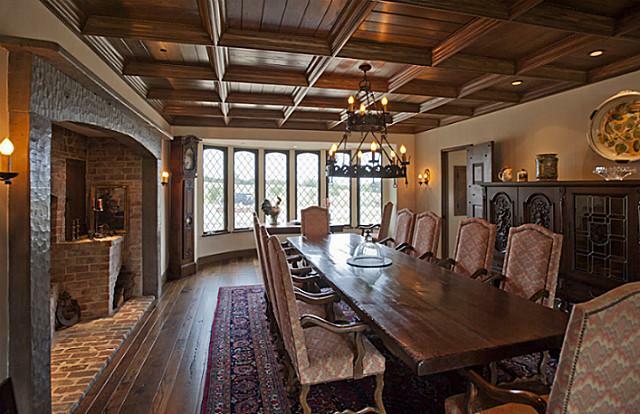 The rambling, half-timbered structure was designed by Charles Dilbeck in 1938, and is chock full of artisian handiwork and delightful surprises in almost every room — VERY Dilbeck, who said each room in a home should have a surprise element. There are surprises, and Dallas history everywhere. But the story gets better: Paigebrooke, named for the owners’ two daughters, was lovingly restored in 1977 after it was wrapped and moved in six pieces to its present land location – that’s right! 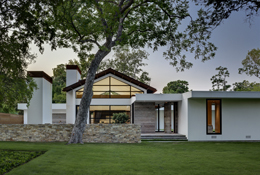 This house was wrapped up like a delicate holiday ornament in Tyvek and moved on steel beams where it was put back together, melded, enhanced, and perfected in a beautiful, country like setting on 18 acres. You have no idea you are near civilization. As one writer described the setting: it’s an “ahhh experience”. Anyhoo, here’s the whole story. 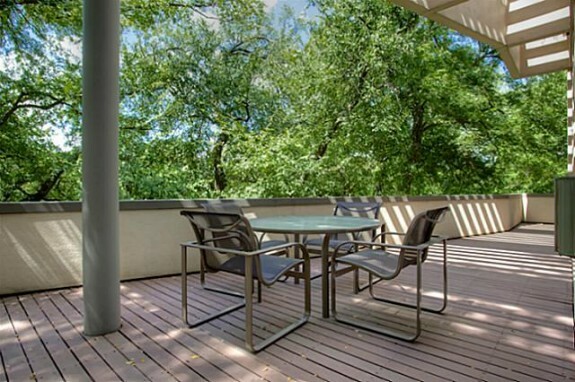 I’m probably not supposed to tell you this, but there is a special Realtor event at Paigebrook today with a presentation by Scott Burdette, who is the DW Skelton/Brad Edgar equivalent in Tarrant County, I’m told. It’s worth the drive just to see the Aga stove! 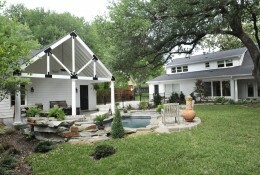 We also filmed the sizzle reel for Real Deal Dallas here. Addy is One Paigebrooke, of course, in Westlake. If you cannot make it, tune in to Daybreak with Ron Corning on April 26. He’s sending out a camera crew to get some mighty nice photos and we will tell ALL on Daybreak! *Truth be told, every home is my favorite home but this one… tops the list! 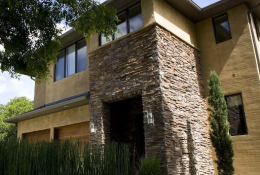 We don’t know why, but last fall the newlywed Jonas brother, Kevin, and his New Jersey-born wife, Danielle, put their Vaquero home on the market over there at 2000 Rock Dove Court. (Don’t tell us: The house was too close to Mom and Dad and the other Jonas brothers over there on Wisteria Way? Or maybe they just wanted to be in LA? We totally understand, Kev.) 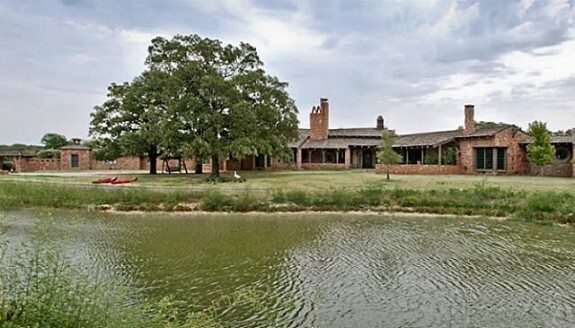 The 5,045-square-foot Westlake, Texas mansion was listed for $2.2 million. And here’s proof that our market just isn’t all that bad: a woman named Mary Skipton bought K2’s home on December 21, 2010 for a cool $2 million. So gloom on about this market, but from what I am seeing, things are starting to pick up. 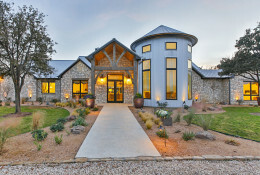 Originally developed by Discovery Land Company in 2002, Vaquero is a gated community for the √ºber-wealthy and loaded with sports stars like pro golfers Ben Crane, K.J. Choi and Todd Hamilton. 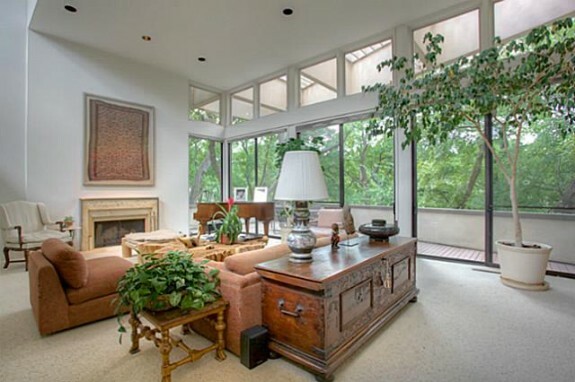 Tiger Wood’s former golf instructor, Hank Haney, has a home in Vaquero. Baseball player Vernon Wells, who plays for the Toronto Blue Jays, is building a 15,000-plus-square-foot home there, as is the retired CEO of Exxon-Mobil, but on three lots. Vanessa Swarovski, an heiress to the Swarovski crystal family, also has an enormous home in Vaquero. You don’t get behind the manned gates unless you belong, like Texas Rangers owner Chuck Greenberg. 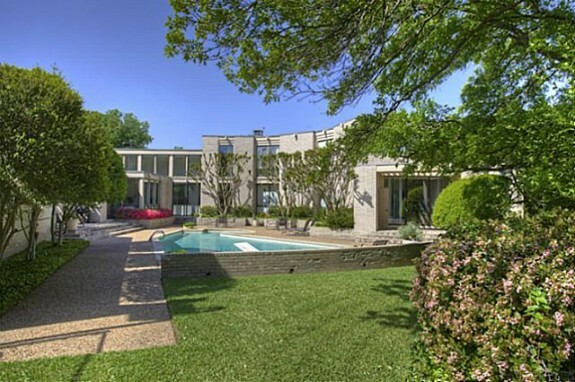 Greenberg’s 8,754 square foot manse is small by most Vaquero standards. Oh and yes, Sean Payton is moving to Vaquero, commuting to New Orleans by private jet.